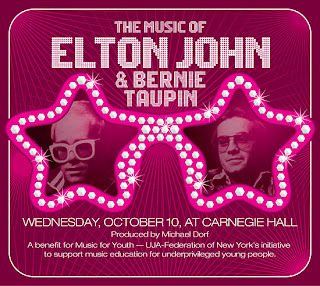 Naked Eyes have been added to the lineup for the All-Star Tribute to Elton John and Bernie Taupin on October 10 at Carnegie Hall. This gala concert is the latest in a series of benefits presented by UJA-Federation of New York’s Music for Youth Initiative that supports music-education programs for underprivileged young people. Already announced to perform at the concert are Howard Jones, Roger McGuinn of the Byrds, Shawn Colvin, Aimee Mann, Page McConnell of Phish, Phoebe Snow, David Broza, Jill Sobule, Lloyd Cole, Brendan Benson, Lizz Wright, Pernice Brothers, Raul Malo of the Mavericks, Ryan Shaw, Joshua Radin, Kristina Train, Fools for April, and Roy Ayers (even more artists will be announced soon). Go to this website to order tickets. 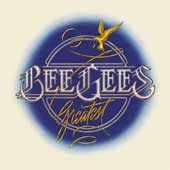 The Bee Gee's have just released a 2 cd set called 'Greatest' that has a bonus hidden track which is a fantastic remix of their hit 'Stayin' Alive' by the Teddybears. Check it out on iTunes or listen to it on their MySpace site. Billed on his MySpace page as a cross between Jeff Buckley and Stevie Wonder, Jamie Scott & The Town sounds a lot like other recent U.K. exports James Morrison and James Blunt. He will be touring opening for Take That in October and November around Europe and has just released a nice record called 'Park Bench Theories' - zip. Check him out, not sure if when his album is getting released in North America. 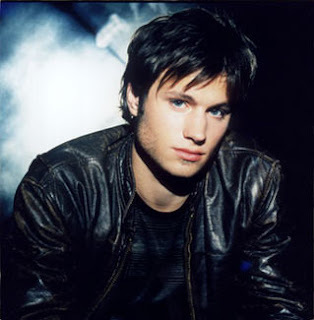 The photo I've used is from a year or two back when he released a couple of singles that were much more in the R&B/Soul vein - a bit like Jamiroquai - singles where called 'Searching' and 'Just' - and you can listen to them here - scroll to bottom of the page. It appears that season one (all six episodes) of October Road will be released on a 2 DVD set on October 29th in the U.S.. This is good news for fans of the renewed series which is due to come back as a mid-season replacement for a 13 episode run. It should be interesting to see what happens with the characters this season. 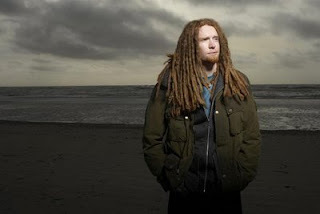 Currently holding down the Number 1 album in the U.K. is 22 year-old dreadlocked singer/songwriter Newton Faulkner with the cd 'Hand Built By Robots'. Sounding a bit like Crowded House on the single 'Dream Catch Me', he seems to be doing very well and I haven't heard a peep about him in North America. Check out his MySpace site and download the single Dream Catch Me here. 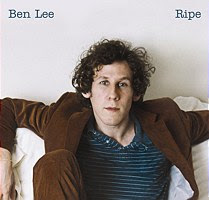 Ben Lee releases his sixth album 'Ripe' on September 18th. The first single is pretty good, it’s called ‘Love Me Like The World Is Ending’, I found it on zShare. I do think the album cover (above) is weak, the cover's for 'Awake Is The New Sleep' and 'Hey You, Yes You' were much better. The album has been produced by John Alagia who has previously worked with John Mayer, Dave Matthews Band, and Ben Folds Five. Ben is opening up for David Usher here in Vancouver on Friday October 5th at the Commodore Ballroom , I hope to make the show. UPDATE: I've now heard 5 tracks from RIPE and they sound great, the cd should do well for Ben. I really like the new single by 22 year-old Californian singer-songwriter Colbie Caillat titled 'Bubbly'. You can watch the video here. Check out her MySpace page for a few other songs from her album 'Coco' that came out in July. I've only heard the single a couple of times on a local radio station here in Vancouver and was hooked. In fact I just heard it for the second time tonight and liked it so much I got up at 1 am after hearing it to write this blog entry. I'm almost tempted to head down to Seattle for her show next week, pity it is mid-week and not a weekend gig. Reading her bio I found out that the album was produced by Mikal Blue who I blogged about back in May. I plan to go out and buy the cd soon from just the few tracks I've heard so far. Check her out and see what you think. LATER THAT DAY: I picked up her cd 'Coco' for $7.99 at HMV. Finally the record companies appear to be lowering the prices on cds (at least for new artists), cheaper then downloading the album from iTunes!